Ah, this is going on the list. Thanks for putting it up! Ha - a lovely memory from my law student days at the Inns of Court School of Law in Gray's Inn whose entrance is to the right of this pub. To fellow members of Gray's it was known as "The annexe". Happy days! It's a pleasure doreen and that is fascinating elegance, but not a surprise. All the law types I know love a drink! 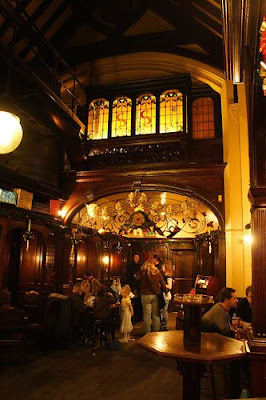 A worthy post: great pub, and as it's Sam Smiths, great prices as well. Always an added bonus!